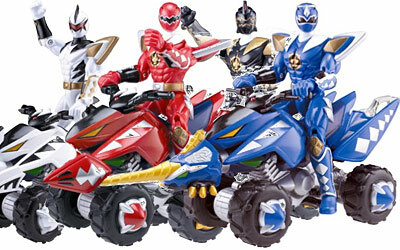 The Thunder ATVs are modeled after the new vehicles on the show. Position lever underneath ATV for cool stunt positions, such as wheelies. Projectile firing action at the front will provide for imaginative Power Ranger play.